We’re not saying the real-world should be ignored – not for a moment – but no one can deny the awesome rise of the mobile world. It’s taken over in the way so many sci-fi movies predicted (sort of!). Not so long ago, technology was an odd term, something that sort of alluded to the Apple Macintosh computer and car phone, but now technology has gone mobile, reaching every corner of the planet, and that’s had an impossible huge impact on the day-to-day lives of, well, pretty much everyone. Of course, it’s not a bad thing. In fact, it’s one of the greatest things to ever happen, especially if you’re an investor. Think about it for a moment or two. For the first time ever, investors can get business done on their smartphones and tablets, making capital gains a whole lot smoother. And it’s this need and expectation that’s been the big change. Because of the increasing reliance on mobile tech, every app developer out there is trying to find new ways to make these investors smile. The problem is choice-overload. 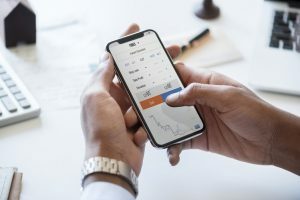 With so many awesome investment apps to choose from, it can be knowing which ones will really help you stay at the top of your game and see your profits stack up like chips at a poker table. So, to help you on your quest, we’ve pulled together a list of our absolute favorites. Enjoy. If you’ve ever used a brokerage firm before, then you’ll know it’s pretty standard behavior to pay around $10 for each and every trade you make, which can be a tough pill to swallow. Well, those days are done because Robinhood is a zero-dollar commission brokerage firm. That’s right. $0. Of course, that begs the question: how do they stay in profit? Simple. Through their Robinhood Gold membership, which allows members to double their buying power and access to after-hours trading. Oh, and they collect interest on cash and securities interest, similar to banks. Nonetheless, this is a game-changer for investors. What makes this app a must-have for all smartphone-owning investors is the unparalleled amount of information it gathers. 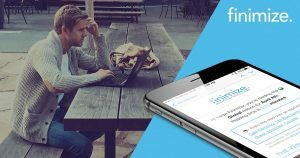 Financial news, global market stories, real-time prices, up to the minute market analysis – this awesome app allows you to stay totally up to date even when you’re rushing about. Life just got a whole lot easier. Oh, and did we mention it’s free. Wowzer. The fact it took so long for someone to knock this idea up – and out of the park – is actually pretty astonishing because it’s such a simple and brilliant concept: Hello Money gives you the chance to build an investment portfolio in the same way you would build something out of LEGO. You get to pick and choose the different funds and stocks you want to invest in, one at a time, giving you the freedom to create the most epic portfolio to suit your needs. They’re not short of options either because there are currently 24,000 different funds and stocks, and it keeps climbing. The only downside is the usability of the app. It’s not first-time user-friendly, but you’ll get the gist. If there is one thing that is getting investors excited right now, it’s the combination of cryptocurrency and blockchain technology and, well, Celsius Network has addressed that. You see, the thing about cryptocurrencies up until now is that people don’t know when to cash in, so they hold on to them, making them pretty pointless. But not anymore because this is a blockchain app with interest. Yup. For the first time, you can now get paid to HODL your crypto or, in Layman’s talk, you’ll get paid for saving your crypto. It’s the crypto-investors dream come true. One of the things that separates an okay investor from a great investor is the latter’s ability to understand the pulse of the markets, which is no easy feat. Thankfully, StockTwits has made this part of the process a whole lot easier for everyone. As an app, it lets you catch up on market trends and, best of all, the specific stocks you are interested in. But that’s not all. The big wow moment is the fact you get access to insight and analysis from loads (read: thousands) of genuine investors and traders. Why is this good news? Because you’ll get a leg up in understanding what’s happening from a whole new perspective. And if that’s not enough to see you go onto the App Store, then how about the app’s ‘Treding List’. It’s sort of like a most popular stocks tab, allowing you to see where the buzz is. 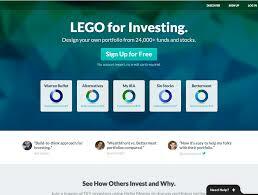 Basically, it’s the app that will help you make better investment decisions. Email news has become more popular with each rotation of the earth. Just check out the huge success of Hustle, which gives you incredible scoops on business stories around the world. Well, the investor version of this is Finimize, which basically breaks down all the financial news you could possibly want to know about into a three-minutes-to-read email. Sure, experienced investors may not care too much about this because they already know so much. But if you’re just getting started, then this is for you. The summaries are just so handy. You get to wake up and find a Wall Street cheat sheet has been dropped into your inbox each day. It’s amazing. The worst thing about Wall Street is how overly-complicated they make everything, flooding the world with noise to seemingly prevent risk taker make a big buck. Well, that’s something Stockflare is addressing because it’s the most awesome research tool in the investment world, no ifs or buts. It’s also pretty funny, the easy to explore categories helping you understand where you want to invest your money. Essentially, it’s a great way for you to better understand the market, while investing in the companies you want, even if it’s just to buy a single share. An absolute must.